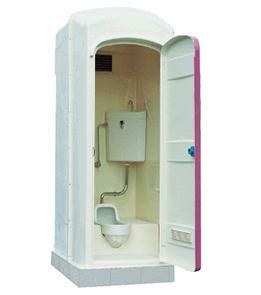 High-volume toilets made ​​of FRP material has also been used to strong-boat in the water does not rust. It is made ​​with the main material does not rust, in addition to the dry riverbed and stadium installation, to the park, such as support to withstand a long period of time for use in sensitive coastal sea breeze, to a wide range of purposes has been. Selected according to water supply and sewerage environment of formula, etc. Simple water washing-rinsing formula, non-rinsing formula, the site can also be how to handle the waste. Kinds of toilets, wash-hand basin and has a complete street / urinals / urinal squat-Western, from the use of the only toilet, toilet and urinal combination of a plurality of large, hand wash in a single instrument according to the application, various can accommodate up to use your toilet as a flea market event or venue, such as sports day. Because FRP materials are relatively inexpensive, it has been reflected in price.